there are a variety of tests we can do to look at Carcinogenicity, genotoxicity and mutagenicity. One such test looking at MUTAGENECITY is a micronucleus assay. Explain this exposing erythroblasts (early RBCs) to a particular compound. If that compound leads to mutagenicity, then we start seeing micronuclei. Based on the dose of that compound given, we start seeing smaller than normal nuclei in the erythroblasts. (can be done with other cells though, also-- after mitosis there is just two smaller nuclei instead of a normal one) as soon as you see a number of micronuclei, you know that compound is mutagenic. explain the AMES test (what is it looking at?) another in vitro-mutagenicity assay. Use salmonella-- does not grow without histidine. So put salmonella with test compound on a plate, and you can see what happens-- if nothing happens, it's not a mutagenic compound. if it IS mutagenic, changes DNA of salmonella resulting in a salmonella which DOES grow without histidine and you will see growth on histidine negative agar. explain the comet assay in vitro mutagenicity assay which looks at DNA damage. 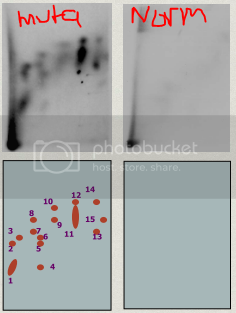 If DNA is damaged, it gets fragmented, which if you do electrophoresis you will see this "tail" instead of a nice round sample which are all about the same weight-- the fragments are might smaller and lighter and distribute along the electrophoresis gradient in this tale shape. 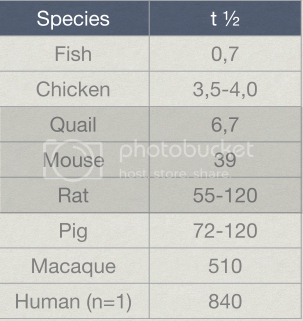 if you wanna do an in vivo mutagenicity assay with mice and rats, what do you need to do in regards to how long you are testing? needs to be relatively long (for their lifespan) so that we know it doesn't lead to chronic toxicity/carcinogenicity/mutagenicity. So do test for 18mo in mice and 24mo in rats. when is the only time you will do in-vivo Carcinogenicity, genotoxicity and mutagenicity tests? only if they were not positive in vitro!! (pathophys) when OTA first started affecting people in europe (Balkan area) they noticed what kinda things were happening to ppl? (2) Balkan Endemic Nephropathy (BEN) and Urinary Tract Tumors (UTT)---- most affected were pigs and humans. In a short amount there is dramatic loss of kidney function. In short amount of time there is CHRONIC kidney failure where it is difficult to do anything about it. what is karyomegaly? how does it relate to OTA? this is cells with big nuclei. (large cells with large nuclei). 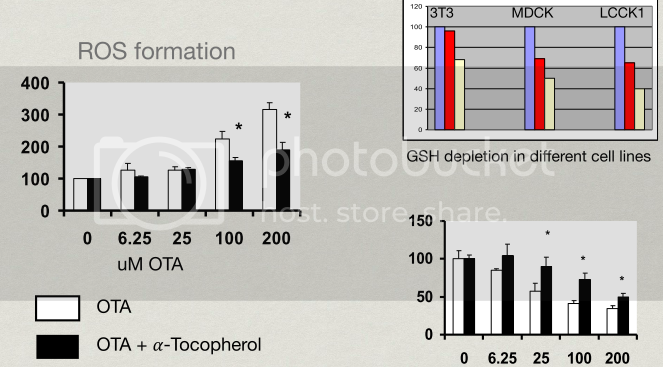 toxicokinetics of OTA-- what is the oral bioavailability like (since it is usually consumed this is the thing we care about) and what is the plasma protein binding like? has decent oral bioavail-- 66%. It also binds to plasma proteins a lot- 99%. explain how you would test the mutagenecity of OTA with a AMES salmonella test. 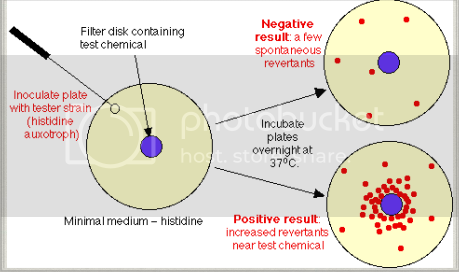 inoculate a plate with a salmonella strain that does not grow without histidine (slide listed some of the strains they use- TA100, TA98, TA 1537, TA1538, TA1535) . And there is no histidine in the medium. we put a test chemical in the middle. If the test chemical is mutagenic, it's gonna change the DNA of the salmonella so that now it does grow without histidine. It is a genetic mutation. If negative, you just see a FEW colonies form (bc there are always spontaneous mutations). Also if it is positive, we will see more colonies growing around the test compound (bc conc is highest there= more mutations). 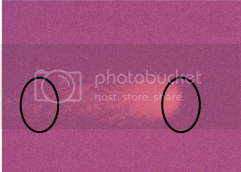 (if see it only on the edges...you prolly messed sthing up). The specific mutation is a point mutation leading to a frame shift which creates the growing-without-histidine mutation. what if you want to see if the metabolized products of the toxin are also toxic? Or if compound is only toxic when metabolize? what can you do to test this? add microsomal fraction to the AMES culture. You can combine diff microsomal fractions (such as CYP450 for a human, some cat and dog microsomes, etc) Then inoculate the plate as you normally would and wait and see. If it is more toxic WITH the microsomes added, then we know the metabolite is toxic. If both parent and metabolite are toxic, then there are even more mutated colonies than in just the parent test. explain how you do post-labeling techniques in vitro versus in vivo Vitro is where you add compound to cells and then electrophorese the results to look for DNA adducts (fragments/damage attached to the compound). in VIVO you are giving the compound to mice/rats, and then extract blood and see if there are adducts. 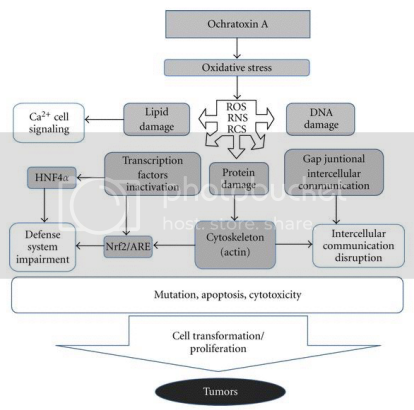 OTA and carcinogenicity: epigenetic mechanisms (how does mutagenicity work?) (explain this crap) This is what happens to a lot of toxic compounds- they lead to oxidative stress (reactive oxygen species, reactive nitrogen species, etc) and they alter a variety of things in the cell, and because they do that, it ultimately leads to mutation, apoptosis, cytotoxicity, DNA damage, mutagenectiy, carcinogenecity-- leading to cell tranfromation/prolif--> tumor. (vast majority of tumors come from oxidative stress).